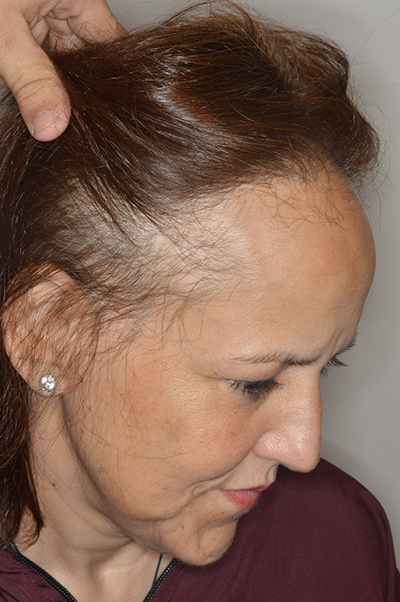 Female pattern frontal hair loss. 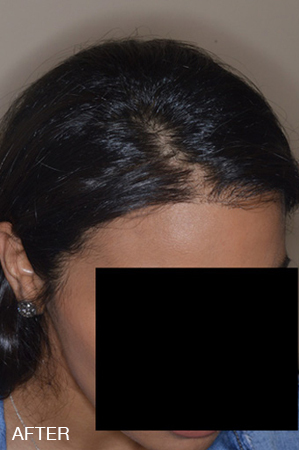 Seen here before and 2 years after 1800 grafts to restore hairline and temple area hair loss. 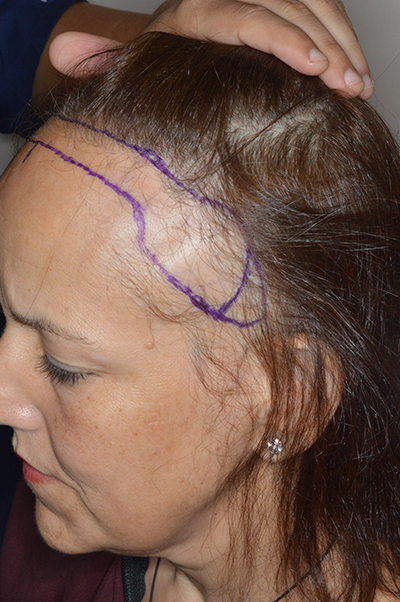 Female hairline lowering procedure with 1800 grafts. 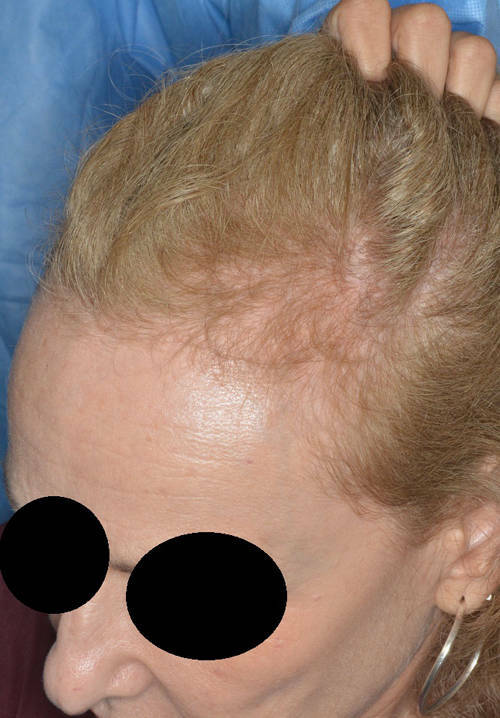 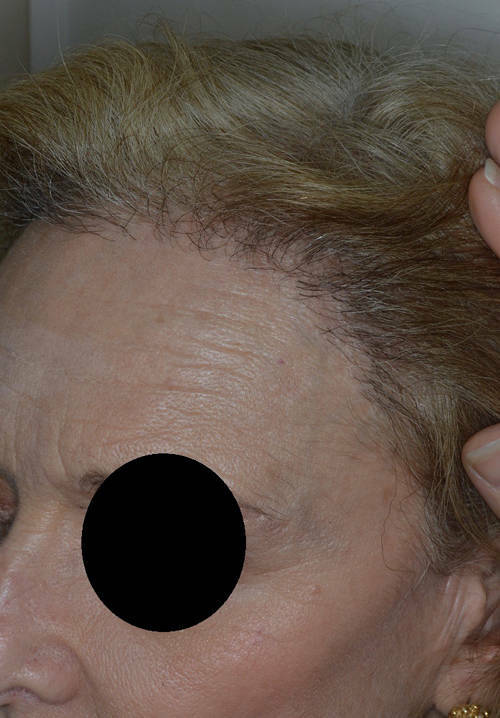 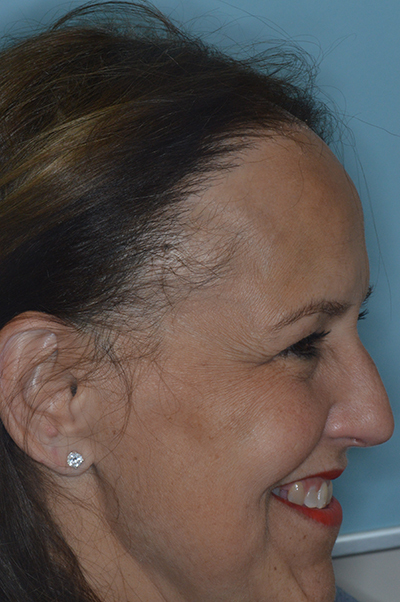 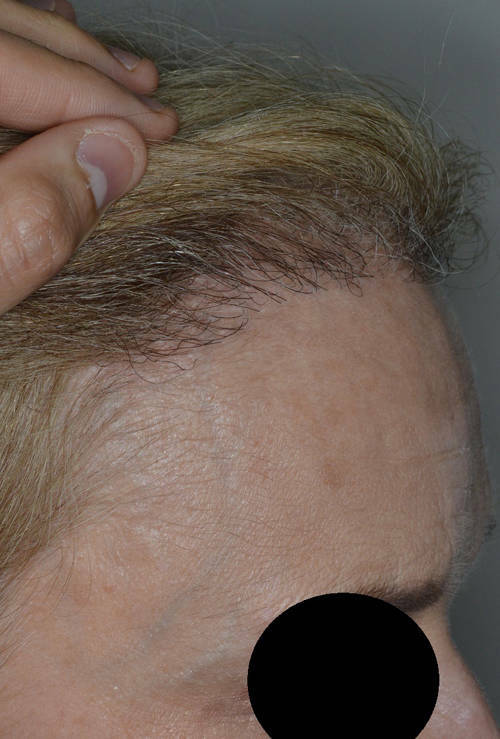 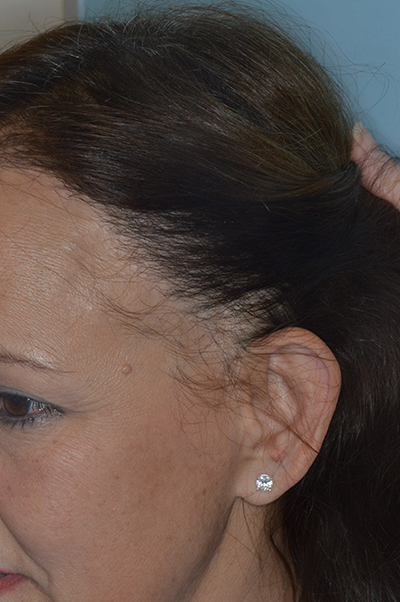 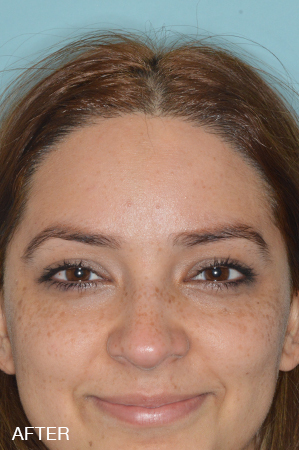 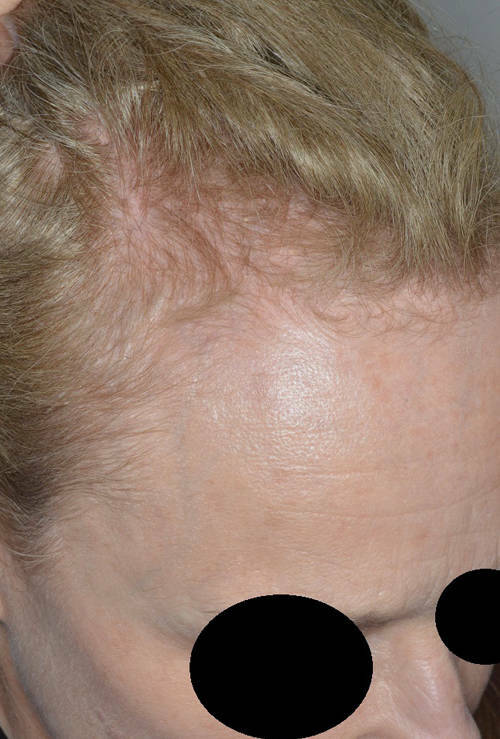 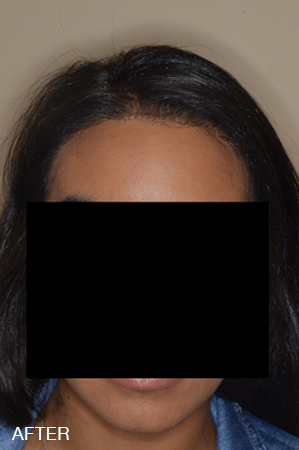 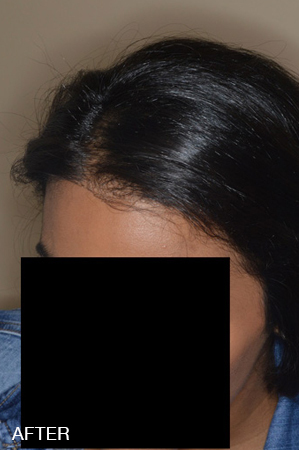 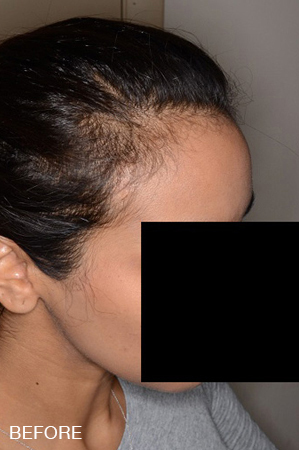 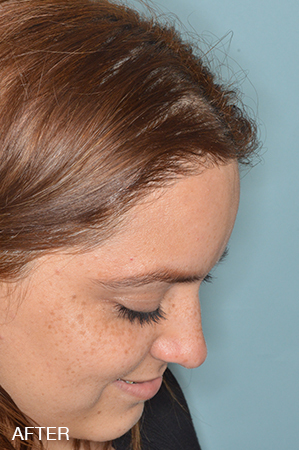 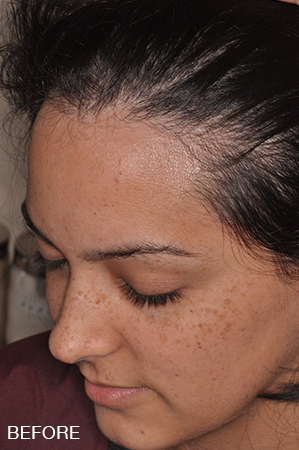 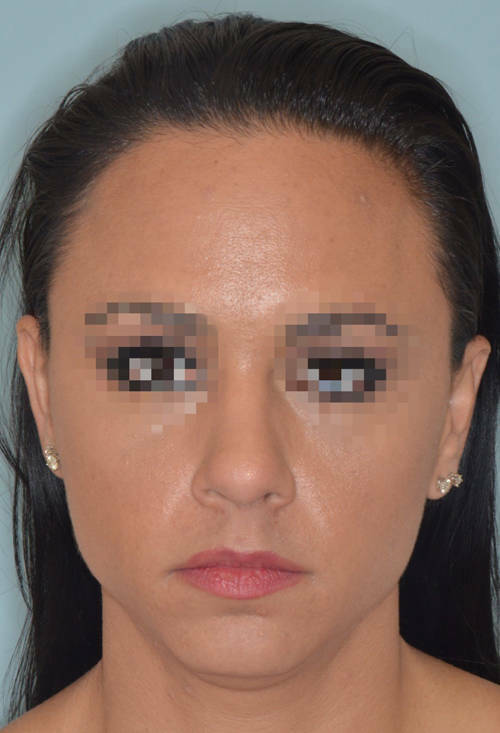 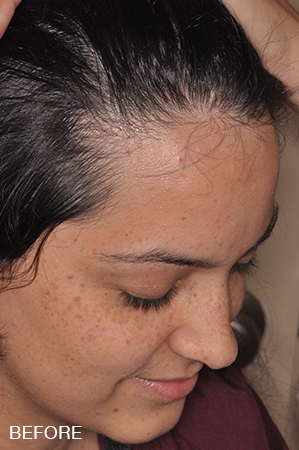 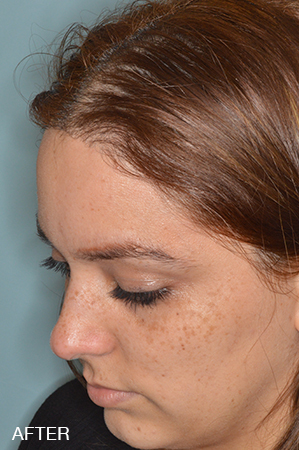 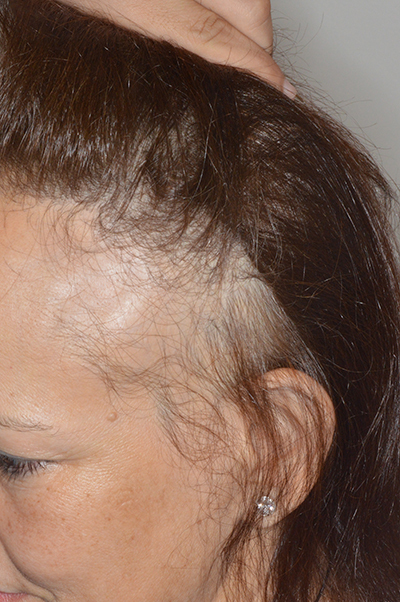 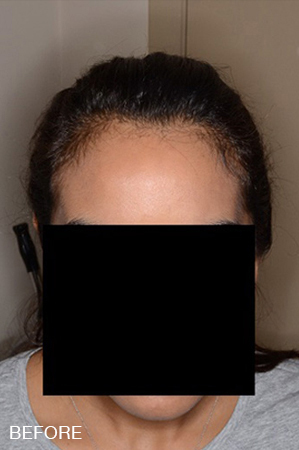 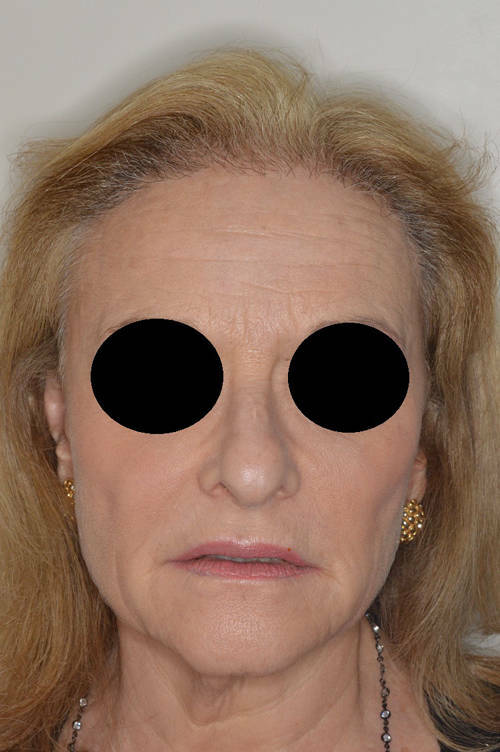 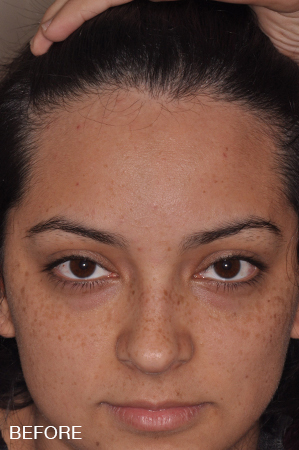 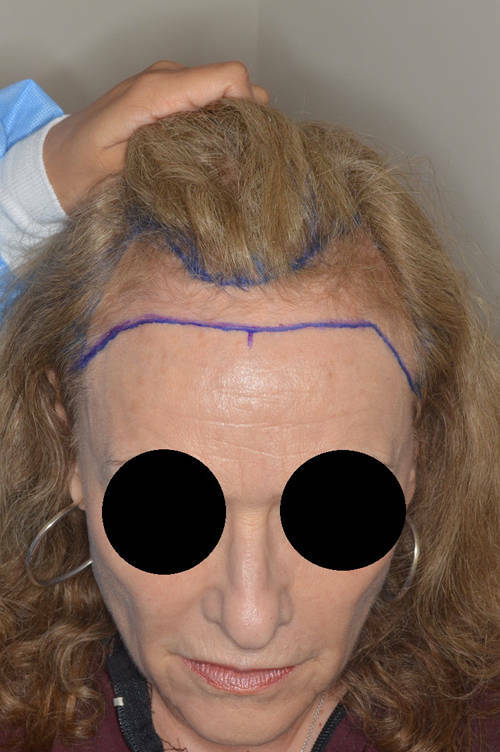 Woman with a naturally high hairline desiring lowering of the hairline with hair transplantation. 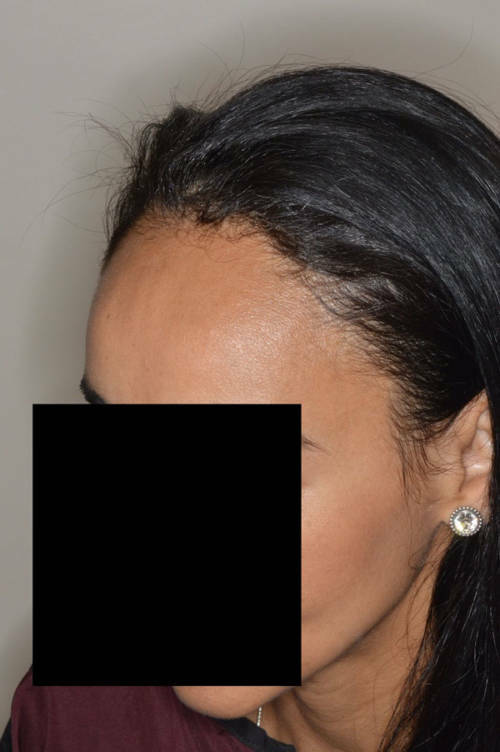 One of Dr. Bared’s patients, before and after 1700 grafts to advance an overly high hairline. 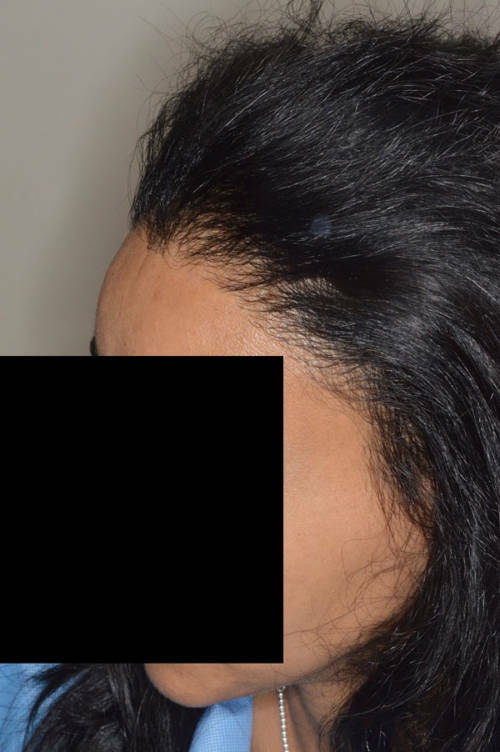 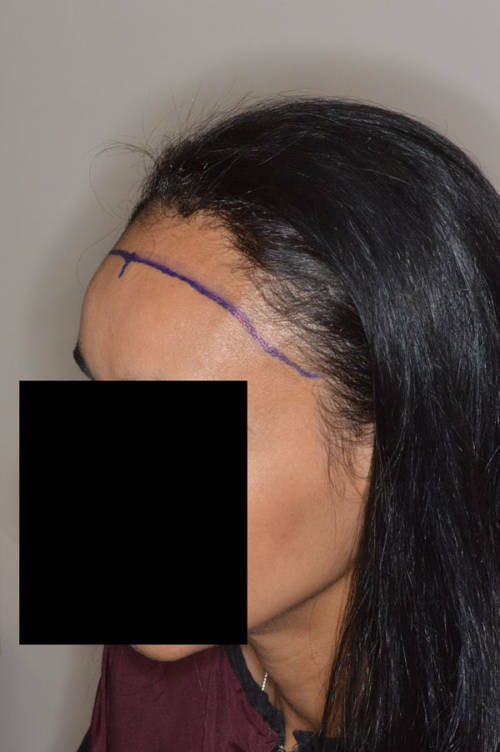 Patient desired rounding of her hairline. 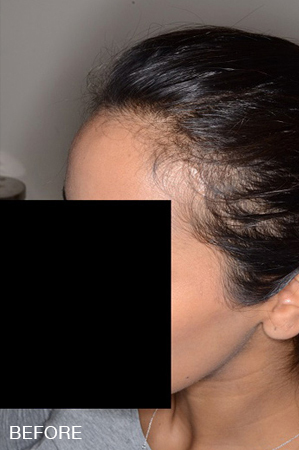 Before and one year after hairline advancement achieved with 1600 grafts.